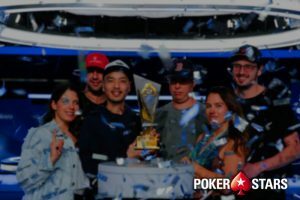 Fresh off a third-place finish in the Aussie Millions A$25K Challenge and most notably a PCA Main Event win, Chino Rheem is now attacking the WPTDeepStacks Brussels Main Event title. The player, who is member of the elite and very exclusive club of three-time WPT Main Tour Main Event champs, finished last night as the chip leader after Day 1B of the ongoing WPTDeepStacks Brussels Main Event to secure a comfortable start of today’s Day 2. After 12 levels of play, Rheem bagged 272,500 to claim the chip leader spot at the end of the tournament’s second starting flight. One more starting flight, Day 1C, was played late last night, but the results of that one are yet to be released by organizers. Rheem did not have a great start of the day. He got eliminated in Level 8, but took advantage of the re-entry option and shot his second bullet to build a solid stack and lock up the overnight chip lead. Friday was a busy day at the host venue – Grand Casino Viage. The second starting flight of the WPTDeepStacks Main Event attracted a record-breaking field of 338 entries. Yesterday’s attendance smashed last November’s record at Grand Casino Viage of 279 contenders. Together with Day 1A’s 147 entries and the participants from Day 1C, it should be noted that the ongoing tournament is a record-breaking one. Who Made It Through Day 1B’s 12 Levels? Aside from Rheem, who now stands at the top of Day 1B’s chip counts chart, Said El-Yousfi with 265,000, Arnaud Schnorfeil with 216,500, Remi Castaignon with 208,000, and Frederic Marechal with 207,000 were the other four players to round out top five of the leaderboard. Overall, 110 players made it through Day 1B’s 12 levels. They will join Day 1A’s 47 survivors as well as the remaining hopefuls from Day 1C to resume play today at 2 pm local time at the host casino. Rheem is not the only WPT Champions Club member to be progressing into the second day of the tournament. Belgium’s very own Davidi Kitai, too, bagged and tagged chips at the end of Day 1B. In addition, Michael Mizrachi secured a spot into Day 2 by bagging the third largest stack on Day 1A. Greece’s Kyriakos Papadopoulos is topping the overall chip counts chart now after scooping Day 1A’s biggest stack of 305,500. 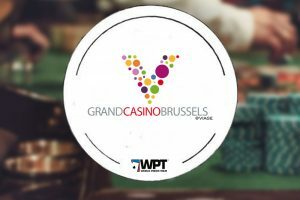 The tournament’s prize pool and the places paid are yet to be announced by organizers, but given the fact that players are participating in the largest-ever WPTDeepStacks Brussels Main Event, there will certainly be exciting prizes for those who made it into the money bubble.